Websites Ayrshire develop and design bespoke intranet solutions for a variety of Small to Medium Business (SMBs). 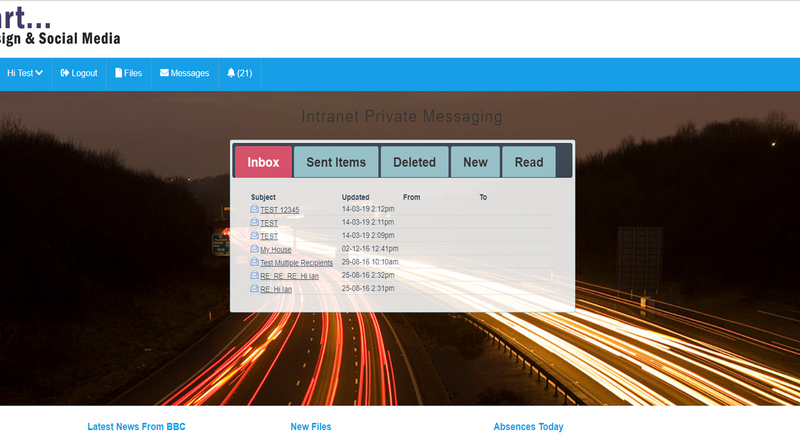 Using modern features and an advanced but simple-to-use layout, our collaborative intranet system is both popular and good value for money. Built upon the success of how social media operates, at the heart of Websites Ayrshire Intranet system lies a messaging and status update facility. Cutting down on email has been one of the areas clients have asked us to help with, and the “Intelliput” area of the Websites Ayrshire Intranet provides a facility to help with this. Functional, and Professional. Fun, and Efficient. 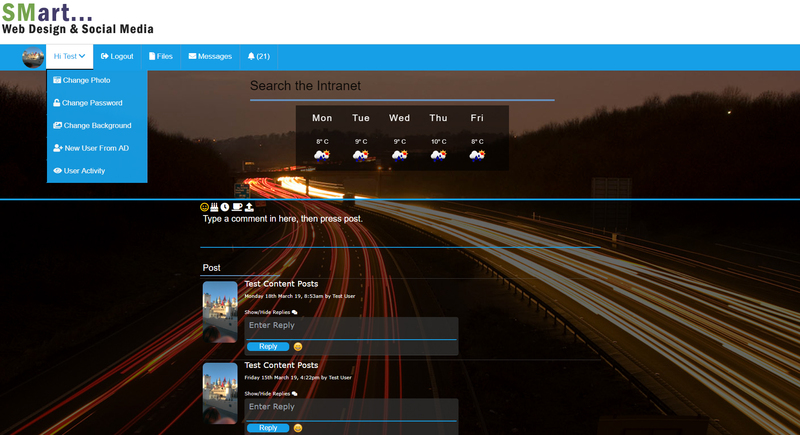 Whatever you want to use the system for, the Websites Ayrshire Intranet will deliver. 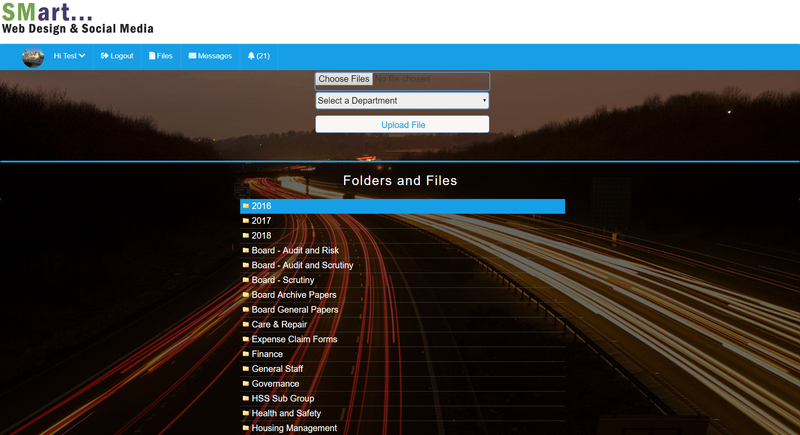 As with many Intranet Solutions, the Websites Ayrshire Intranet delivers file sharing facilities. Whether it be to cut down on main server share load, or to make things available to a wider scope of employees or contractors, or perhaps board/committee members, there’s a solution available to help you meet those needs. Communicate through the medium of private messaging. Another email load saver. The Websites Ayrshire Intranet System can also be designed to communicate with other business critical systems. Whether that be a Housing Management System, ERP, Cash Flow System. If it uses a database, Websites Ayrshire can help you. Get in touch with us now for a free demo of our system.